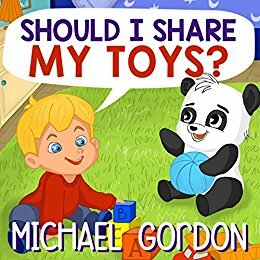 Books for Kids: Should I Share My Toys? Should I Share My Toys Finn has a little pet Bear. Bear isn’t very generous, he simply doesn’t want to share things with his friend! Boy's tired of games. Finn tries to teach Bear that it feels good to give and that it's fun to share with others.”There was a problem with Finn’s pet bear: He really didn’t like to share. After days of trying, Finn said aloud,“You’re not a pet who makes me proud.”” Professionally designed illustrations to develop your children's creativity. Cute stories to engage your kid's interest and teach important life lessons. Reading nursery rhymes in a fun, exciting, and joyful way to a nice peaceful sleep.